(CBS/AP) How good is coffee for your health? For years, research has gone both ways, with some studies finding it boosts risk for heart disease, while other studies find it could be protective against breast and skin cancers. A large-scale study of 400,000 people offers good news for coffee-drinkers: you might just live longer. The study is the largest ever done on the issue, and the results should reassure any coffee lovers who think it's a guilty pleasure that may do harm. And whether it's regular or decaf doesn't even matter. "There may actually be a modest benefit of coffee drinking," said lead researcher Neal Freedman of the National Cancer Institute. The study, published online in the May 16 issue of the New England Journal of Medicine, kicked off in 1995 and involved 402,260 AARP members ages 50 to 71 who lived in California, Florida, Louisiana, New Jersey, North Carolina, Pennsylvania and Atlanta and Detroit. People who already had heart disease, stroke or cancer weren't included in the study, nor were extreme eaters who ate too many or too few calories per day. The rest gave information on coffee drinking once, at the start of the study. "People are fairly consistent in their coffee drinking over their lifetime," so the single measure shouldn't be a study limitation, Freedman said. Of the participants, about 42,000 drank no coffee. Most people had two or three cups each day, and about 15,000 reported drinking six cups or more a day. By 2008, about 52,000 of the participants had died. Compared to those who drank no coffee, men who had two or three cups a day were 10 percent less likely to die at any age. For women, it was 13 percent. Even a single cup a day seemed to lower risk by 6 percent in men and 5 percent in women. The strongest effect seen in the study was in women who had four or five cups a day - an impressive 16 percent lower risk of death. In general, coffee drinkers were less likely to die from heart or respiratory disease, stroke, diabetes, injuries, accidents or infections. No effect was seen on cancer death risk. None of the risk reductions were big numbers though, and Freedman can't say how much extra life coffee might buy. "I really can't calculate that," especially because smoking is a key factor that affects longevity at every age, he said. About two-thirds of study participants drank regular coffee, and the rest, decaf. 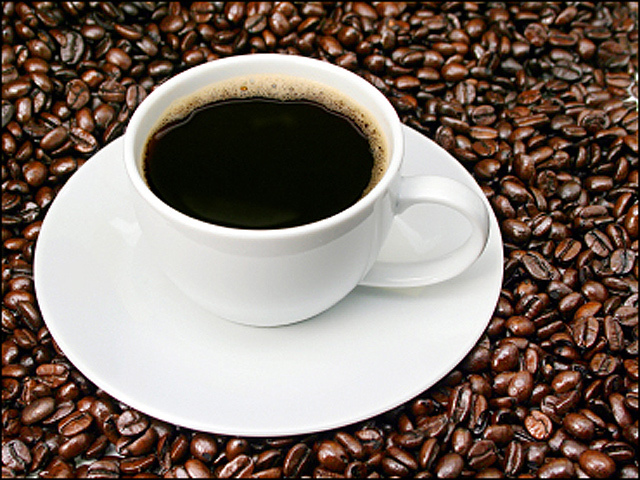 The most widely studied ingredient - caffeine - didn't play a role in the new study's results. No one knows why. Coffee contains a thousand things that can affect health, from helpful antioxidants to tiny amounts of substances linked to cancer. Other research ties coffee drinking to lower levels of markers for inflammation and insulin resistance, HealthPop reported. Researchers also considered that people in poor health might refrain from drinking coffee and whether their abstention could bias the results. But the study excluded people with cancer and heart disease - the most common health problems - to minimize this chance. Also, the strongest benefits of coffee drinking were seen in people who were healthiest when the study began. It's not that earlier studies finding heart disease risks were wrong. There is evidence that coffee can raise LDL, or bad cholesterol, and blood pressure at least short-term, and those in turn can raise the risk of heart disease. Even in the new study, it first seemed that coffee drinkers were more likely to die at any given time. But they also tended to smoke, drink more alcohol, eat more red meat and exercise less than non-coffee-drinkers. Once researchers took those things into account, a clear pattern emerged: Each cup of coffee per day nudged up the chances of living longer. Be careful - this doesn't prove that coffee makes people live longer, only that the two seem related. Like most studies on diet and health, this one was based strictly on observing people's habits and resulting health, so it doesn't prove cause and effect. Researchers did not look at tea, soda or other beverages but plan to in future analyses. But with so many people, more than a decade of follow-up and enough deaths to compare, "this is probably the best evidence we have" and are likely to get, said Dr. Frank Hu of the Harvard School of Public Health, who has researched coffee and health in the past. Hu's advice for coffee lovers? Watch the sugar and cream - extra calories and fat could negate any benefits from coffee. Also drink filtered coffee rather than boiled, because filtering removes compounds that raise LDL cholesterol.